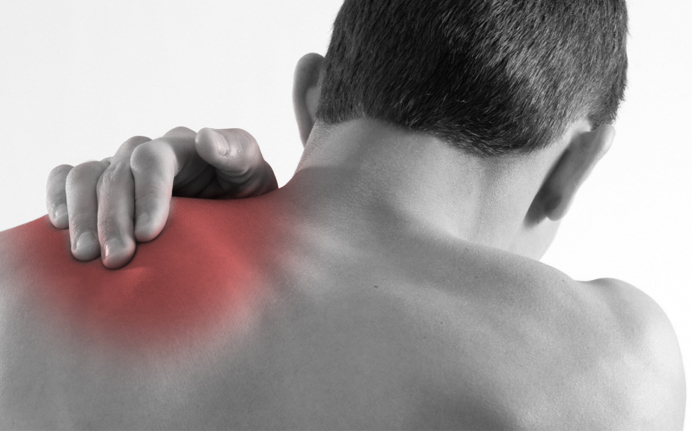 Shoulder pain can limit your daily activities including driving, work, looking after the children, playing sport and even just answering the phone. Use ice not heat. Apply frozen peas or an ice pack over the painful shoulder, ensuring you have a tea towel or something similar between your skin and the ice pack. Keep the shoulder moving within pain limits. While it is important to keep the joint moving it is equally important to avoid aggravating it by undertaking painful activities EG: overhead work. Avoid repeated steroid injections unless there is no other solution. These injections can weaken the ligaments and tendons of the joint, possibly leading to rupture. Seek help from a chiropractor before the pain becomes unbearable, your shoulder becomes ‘frozen’ or the pain spreads to the back or neck. The shoulder is an incredibly complex joint, actually made up of several joints, and the pain can come form many underlying problems, such as the muscles and joints of the shoulder itself, the neck, back and jaw, or even organs such as the stomach or gall bladder. The chiropractors at Headingley Chiropractic Clinic are trained in an advanced, sophisticated postgraduate technique – Sacro-occipital Technique. SOT has a complex series of indicators allowing the chiropractor to assess the whole body for the source of your shoulder pain. Ring free phone 0800 122 3050 or email info@headchiro.com for a free screening consultation to determine the best course of action to find relief from your shoulder pain.